Whether it's used to protect or simply to enhance the look of a space, your choice of cladding can make or break a project. 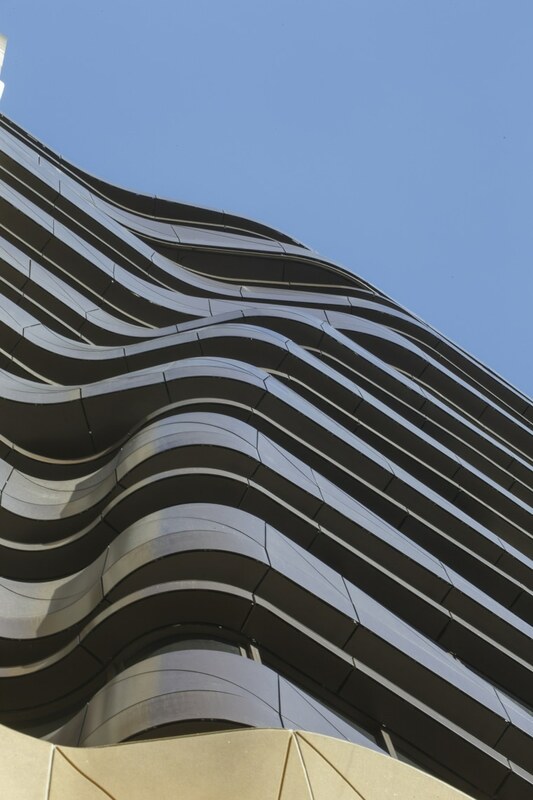 The undulating form of the aluminium-clad balconies on the Eliza Apartments reinforces the building's organic design. Your choice of cladding has a dramatic effect on your project. It impacts the aesthetic, adds a further protective layer to a building and can provide valuable insulation. Here are some examples of well-considered cladding, and how they change their projects' look and functionality. 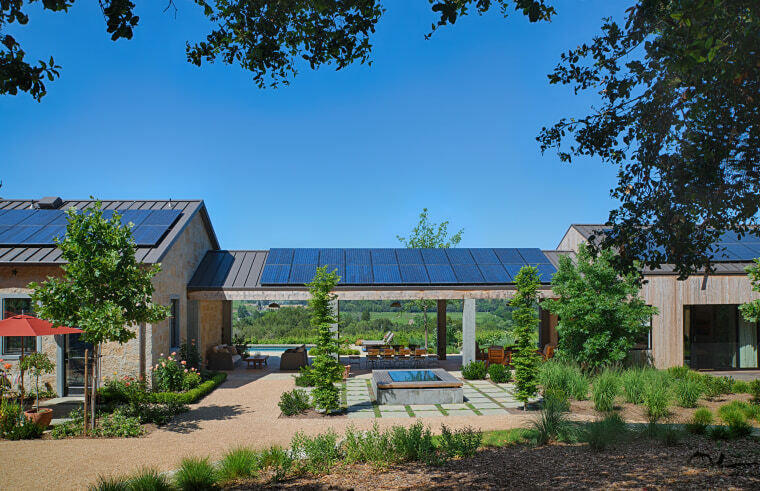 On this home, large roof overhangs made with tapered steel beams and clad with Scyon panels keep indoor and outdoor areas shaded from strong summer sun. 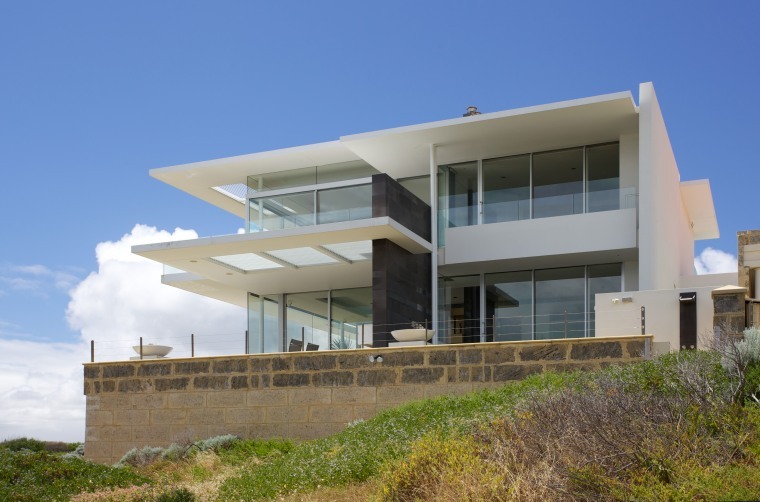 While a seaside home might sound ideal, for much of the year the interiors and outdoor living areas in this home by Architect Gary Banham had to be shaded from the sun. In response, the architect introduced extensive overhangs to provide protection. Tapered steel beams support the overhangs and are clad in Scyon – a cement composite suitable for the climate, ensuring the home doesn't get too hot. The tessellated facade of Eliza Apartments features sandstone and metal, which is in keeping with the heritage architecture of the surrounding buildings. 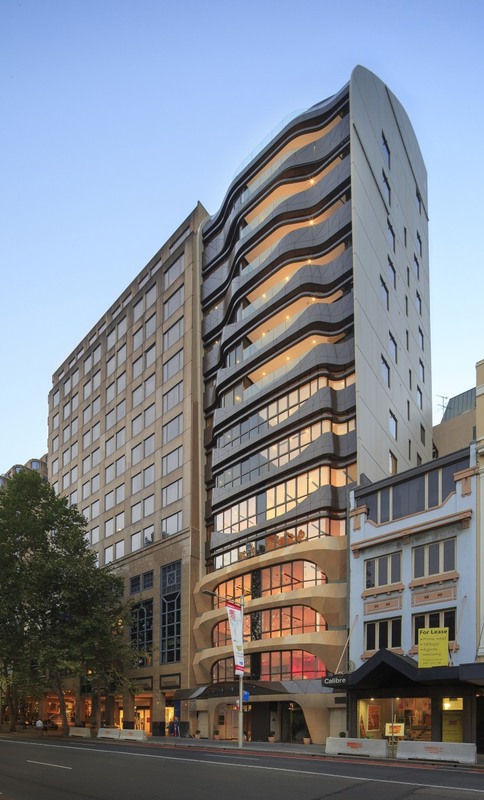 The Eliza Apartments in Sydney by architect Tony Owen was created from hundreds of tessellated, individually shaped sandstone and metal panels. The result is a fluid, sculptural form that pays homage to the surrounding heritage architecture while still providing a highly contemporary design expression. The geometry of the curving bays of the front facade gradually changes as the building rises, with the three-level penthouse stepped back to maximises outdoor space and views. Cladding on the upper level of this home makes it appear to float above the mostly glass-walled ground floor. The client wanted a clean-lined, contemporary house, with a design that wouldn't date. The architecture by Maria Arango and Diego Molina of Ong&Ong recalls Modernist themes with strong horizontal lines and an extensive use of glazing. 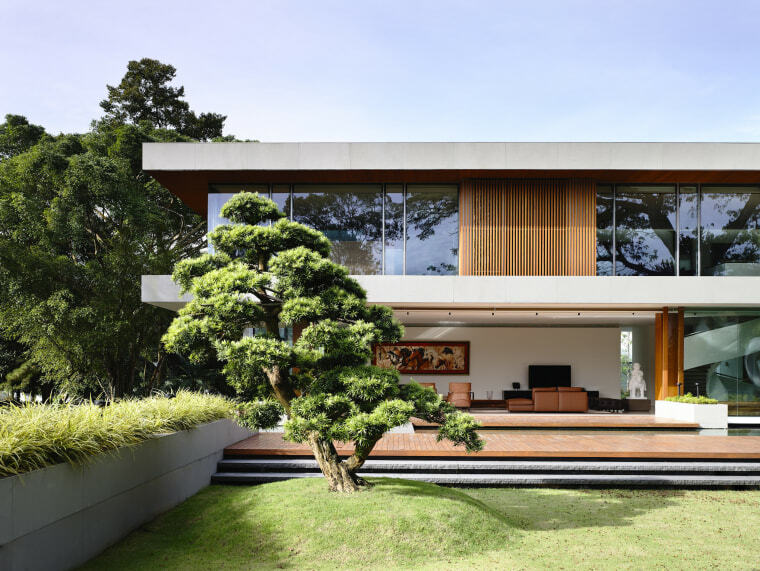 The upper level is clad in teak wood and glass, and framed by a deep band of white stone, ensuring a close connection with the landscape. "The top storey is a more monolithic element, which provides a strong contrast to the transparent, glass-walled base of the house," says Molina. "The heavy upper floor appears to float above the ground." The older-looking main building (left) is clad in stone, while the modern annex building (right) is distinguished by its use of Alaskan yellow cedar cladding. 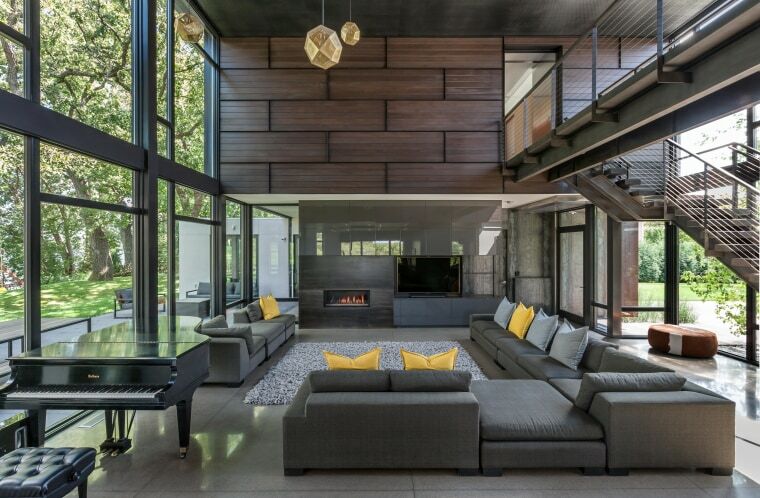 This home by designer Julian Cohen is comprised of two buildings. The cladding gives one of the buildings an older look, while the other appears more contemporary. The stone-clad main building appears to be an 1800s winery which has been renovated and converted to a home over time. The secondary building, referred to as the annex, is a more modern looking single-storey structure that feels like a more recent addition to the property. 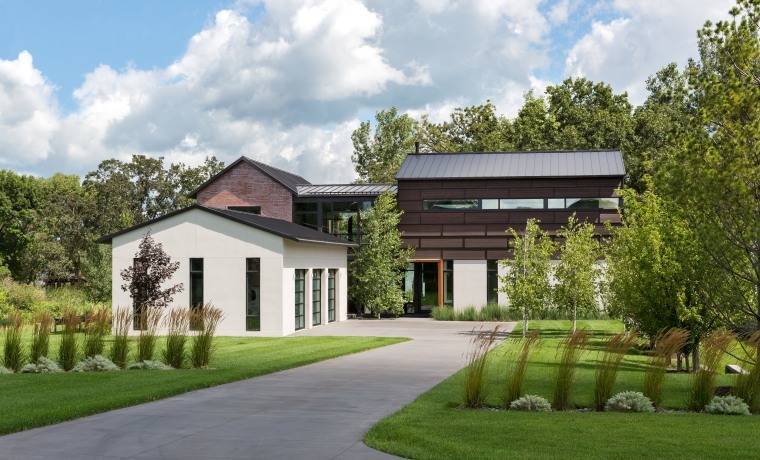 Alaskan yellow cedar cladding distinguishes the more modern looking annex from the stone building that forms the main home on this rural property. The annex is a self-contained guest wing separated from the stone building by a breezeway. Changes in exterior materials and form help define the various zones of this family lakeside home. Changes in exterior materials and form help define the various zones of this family lakeside home by architect Tim Alt. On the upper level, the children’s bedrooms are on the right, while the parents bedroom suite is on the left. Both sections of the house are separated by a double storey main living area. The children’s bedroom wing is clad in the same panels of cedar planks that are seen on the exterior. The upper level of the children’s wing is clad with panels of black-brown stained cedar planks that are bordered with black aluminium edging. This arrangement helps to moderate the scale of this wing, while also creating an unfamiliar pattern with a typical wood cladding material. An interior look at the parents wing. Meanwhile, the parents’ upper level is defined by its deep auburn brick structure, giving them a sense of sanctuary, both visually as well as spatially. Having the exterior materials – the cedar panels and brick – wrap into the interior space enhances this sense of insertion. “It feels almost as if it’s an outdoor room,” says the architect.